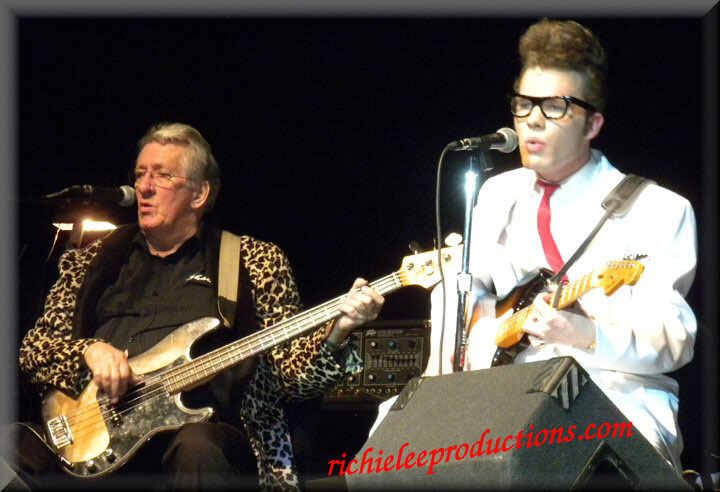 Richie Lee and the Fabulous 50's will take you back to the roots of Rock 'n' Roll history wrapped up into a high energy show! 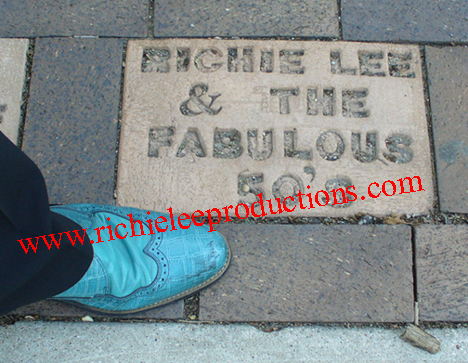 From Des Moines, Iowa, Richie Lee started out performing at a young age and has had the great opportunity in sharing the stage and opening up for many of the original Rock 'n' Roll greats. The music will sound just as it did back then. The band does their absolute best to stay true to the original sound of the songs. 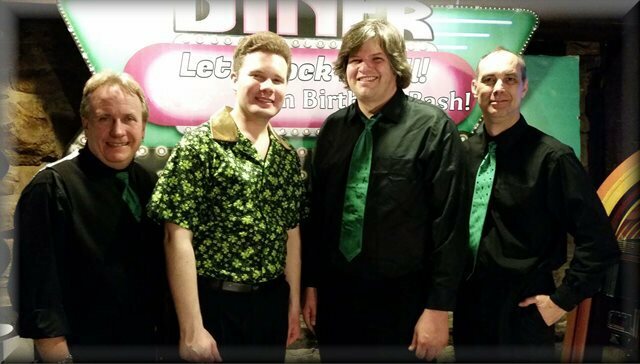 Just to name a few, you will hear music by Buddy Holly, Ritchie Valens, Elvis Presley, Ricky Nelson, Roy Orbison, Eddie Cochran, the Beatles, and the Beach Boys! 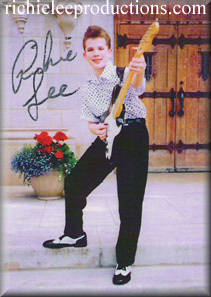 Richie Lee is from Des Moines, Iowa, singing almost before he could talk. 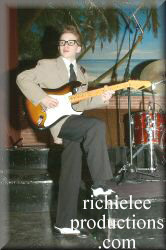 At the age of 7 he won a Buddy Holly look alike lip sync contest in Des Moines Iowa, sponsored by KJJY Radio. 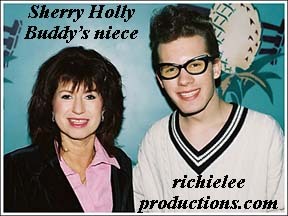 His interest in Buddy Holly began at the age of 6, listening to CD's. 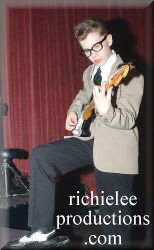 He began taking guitar lessons at age 11 and drums at age 12. 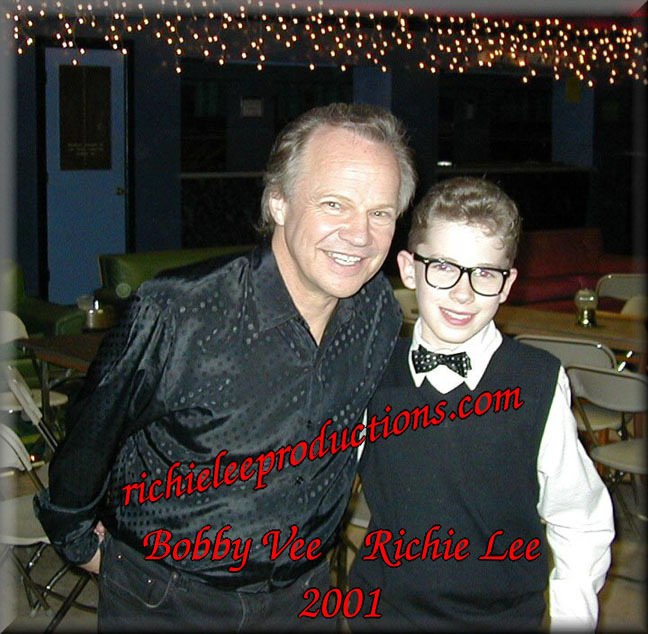 Richie has performed on stage with Winter Dance Party Drummer Carl Bunch, Tommy Allsup, "That'll be the Day" Holly Backup singers, The Tolletts, Larry Welborn, and friend, the Legendary (Peggy Sue Gerron). 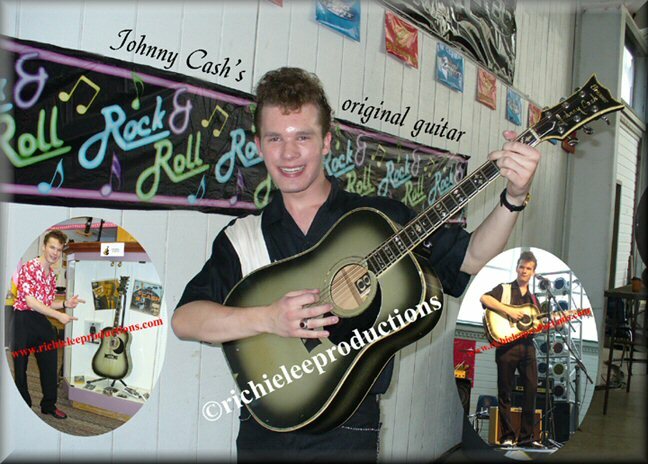 lends itself so well to the 50's sound and he plays a mean guitar! For Lee, it is a dream come true. 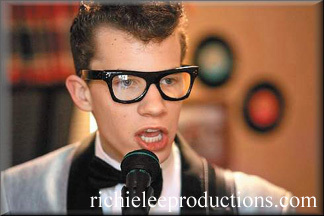 The talented young singer/musician from Des Moines is making a name for himself performing Holly's music at '50s style dances and clubs. 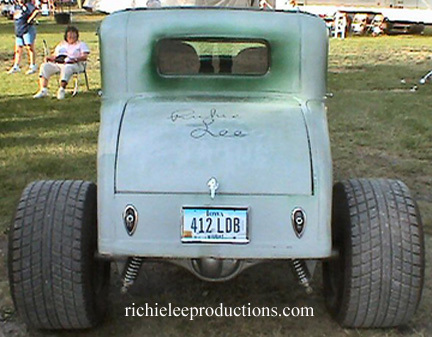 The band's ability to get the crowd dancing can betraced to Lee's drive to stay true to the original songs. 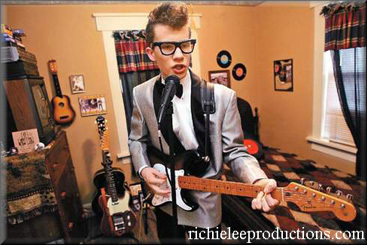 He even has the same guitar his favorite artist, Buddy Holly, played: a 1955 Fender Stratocaster. "I like everything perfect," Lee said. 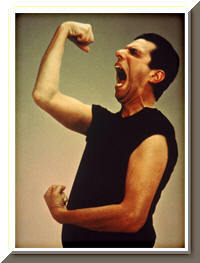 His parents' tastes drew him to classic rock 'n' roll. "My parents always listened to it, and I kind of adapted to it," Lee said. "I really like the style of music. And it's fun to play, too." 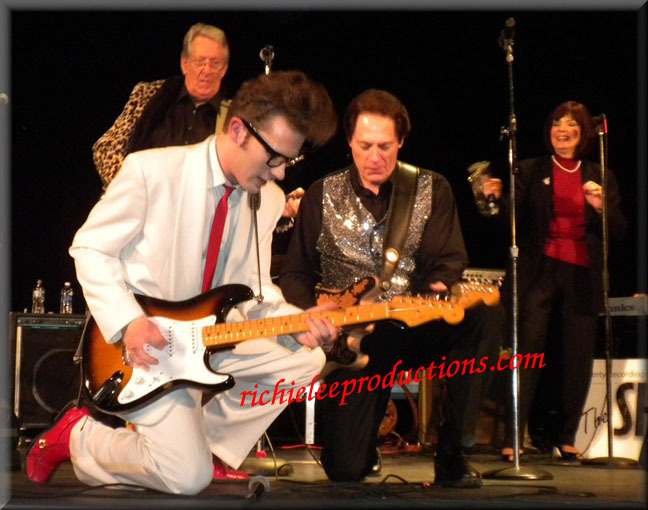 When Richie first heard Buddy Holly's music, he was instantly inspired! It's like his music stuck out more then anybody else's on the radio. 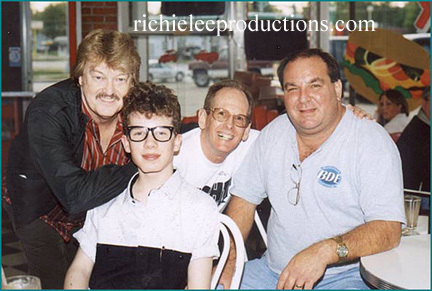 Richie has played with many Iowa Rock N Roll Hall of Fame bands. 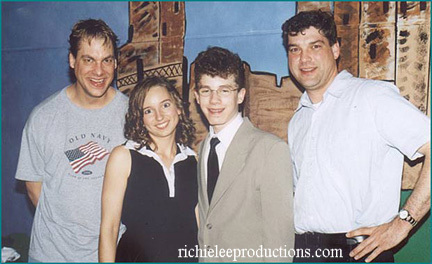 He has played 14 ballrooms by the age 16 and been recognized nationally. 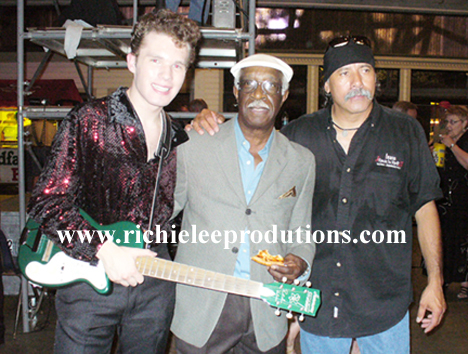 He has also gone as far as Boston to play a couple of shows with the Drifters and this summer to Memphis for Elvis Tribute. 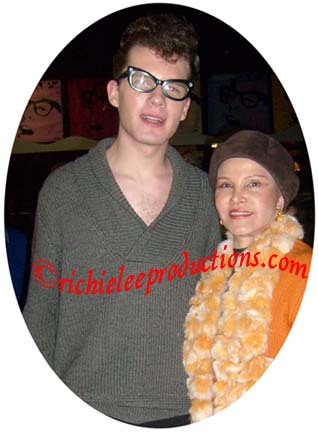 He has been on shows with many famous people, too many to mention. "I want to bring back this sound for kids so it's not forgotten. I want to them to hear what real rock music sounds like." 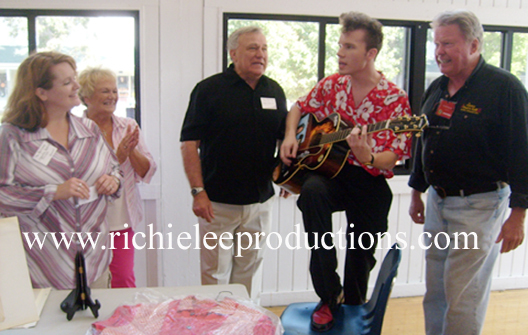 Brian Setzer's drummer from the "Stray Cats"
September 2, 2007 Arnolds Park, IA, Roof Garden Richie Lee performed for 14 members of the Ritchie Valens family. 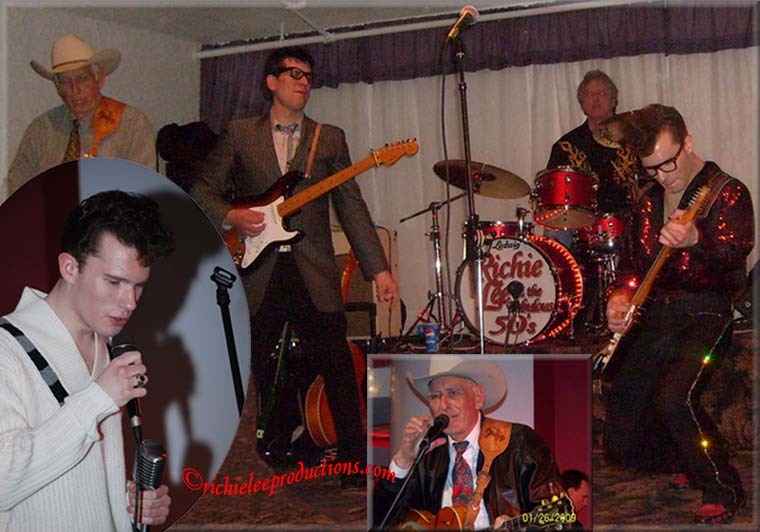 Playing with IRRMA All Star Band for the induction of Ritchie Valens into the Iowa Rock'n'Roll Music Association Hall of Fame. 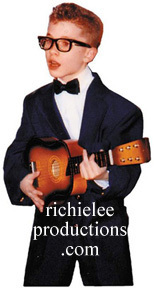 Richie Lee is 17 and is the same age Ritchie Valens was when he died in the plane crash. Several other bands will also be performing. 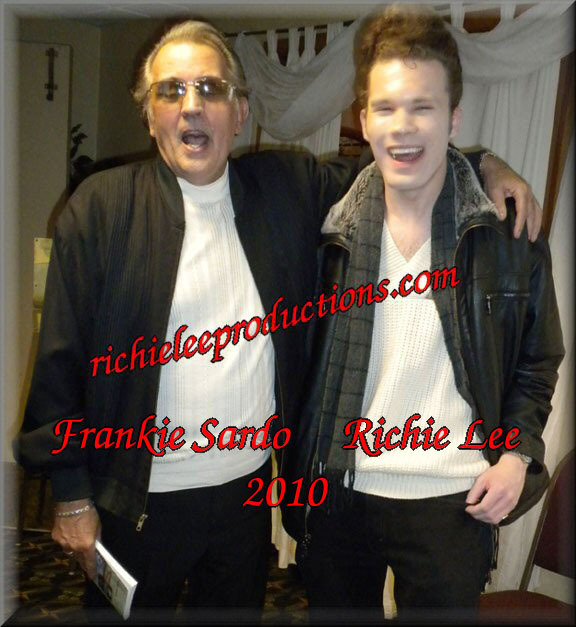 Richie sang "Come On Let's Go", "Donna" and La Bamba" and Mario joined him. 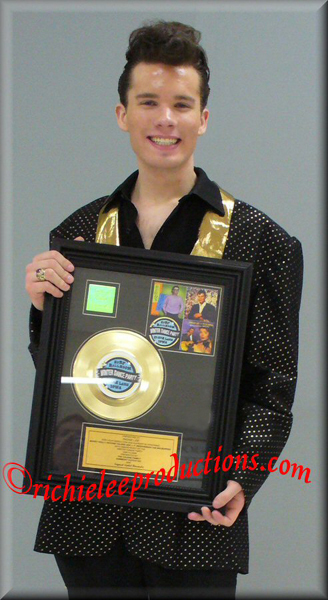 Ritchie Valens family presented Richie a gold record at the 50th anniversary in Clear Lake, Iowa in 2009.